If you’re a monthly ScrapbookingStore club member, then you may have already seen the wonderful paper craft cards by our designer Lisa Riley that we included in this month’s kit. 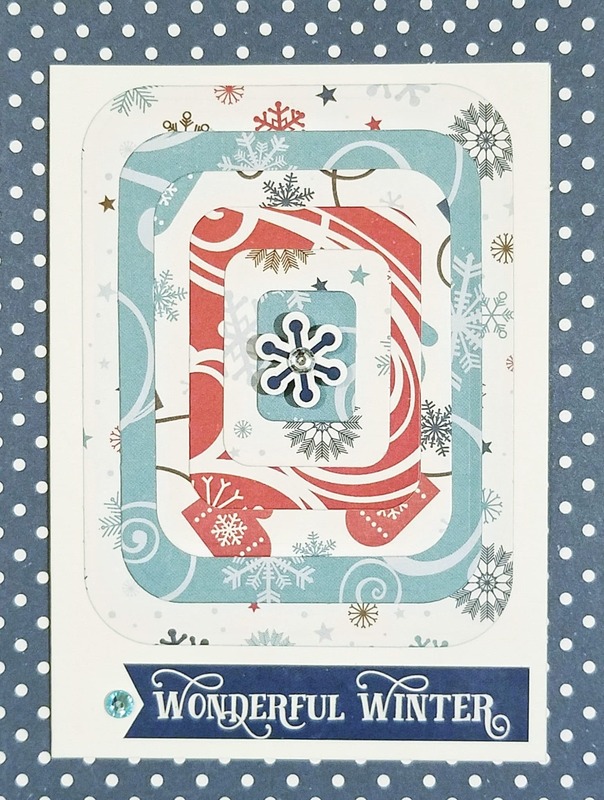 Lisa is a paper crafts extraordinaire and we LOVE what she came up with using this month’s “I Love Winter” collection by Lori Whitlock for Echo Park. Below are Lisa’s thoughts on the kit, her paper craft template design with plenty of pictures, and a description of how you can make these gorgeous paper crafts and have your own creative memories from this winter! I loved this kit at first sight, and I knew I wanted to showcase the perfect patterns and colors! I believe getting personal mail is important for our souls, and what better time than winter to get some bright, happy mail? 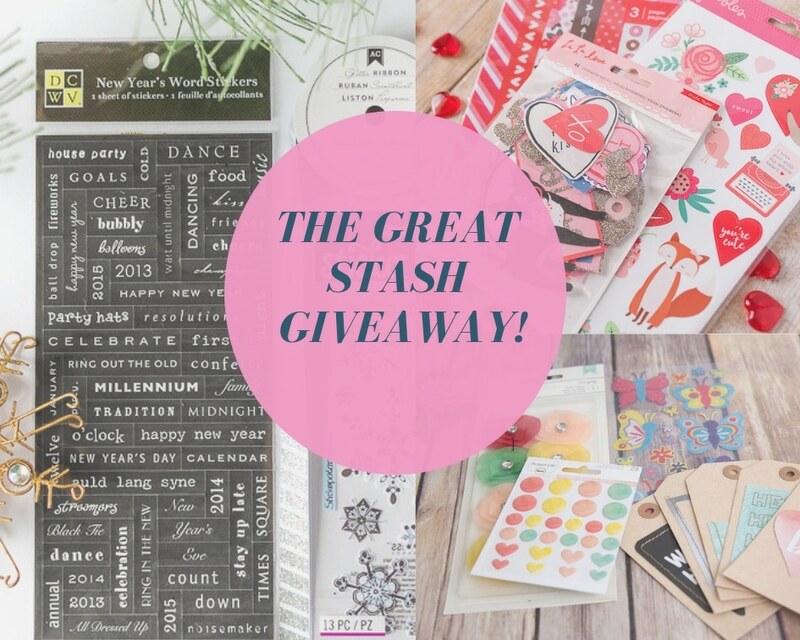 With so much to choose from in this kit, these paper craft cards went together like a dream! I had so much fun cutting and layering all the high-quality papers and stickers. 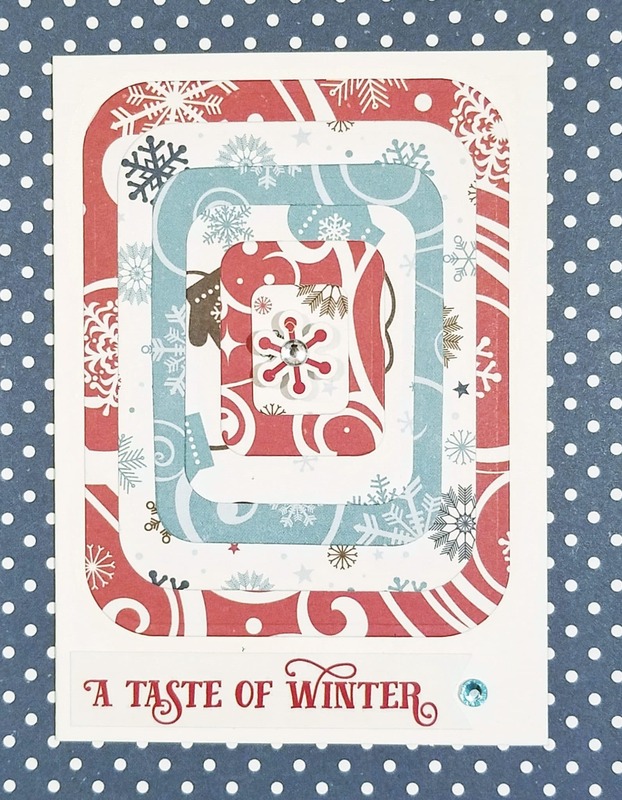 All that was left was to place a couple of sparkly jewels, and these cards are ready to celebrate the winter season. I was really inspired by the fantastic patterns and colors of the papers, so I chose the creamy neutral folded cardstock paper so those colors would stand out. 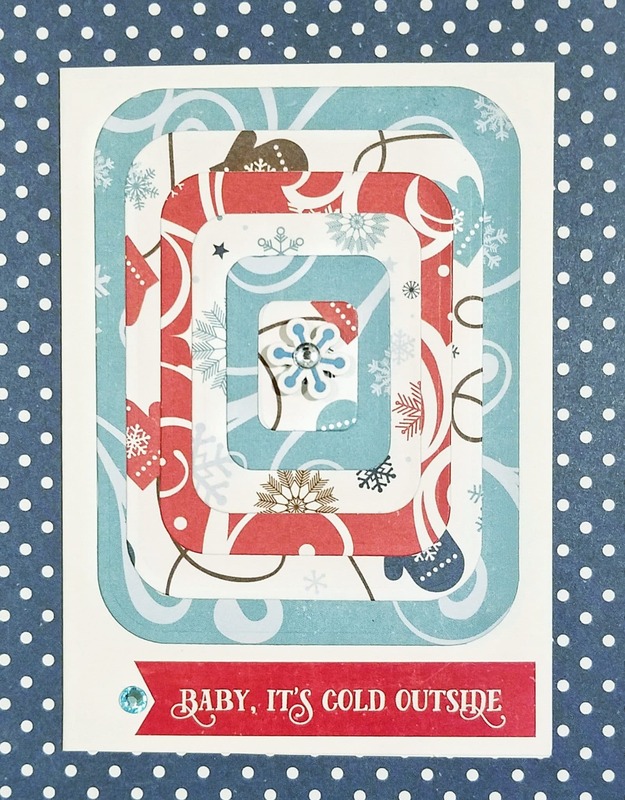 I cut the layers using a rounded rectangle nesting die set on my Sizzix machine. 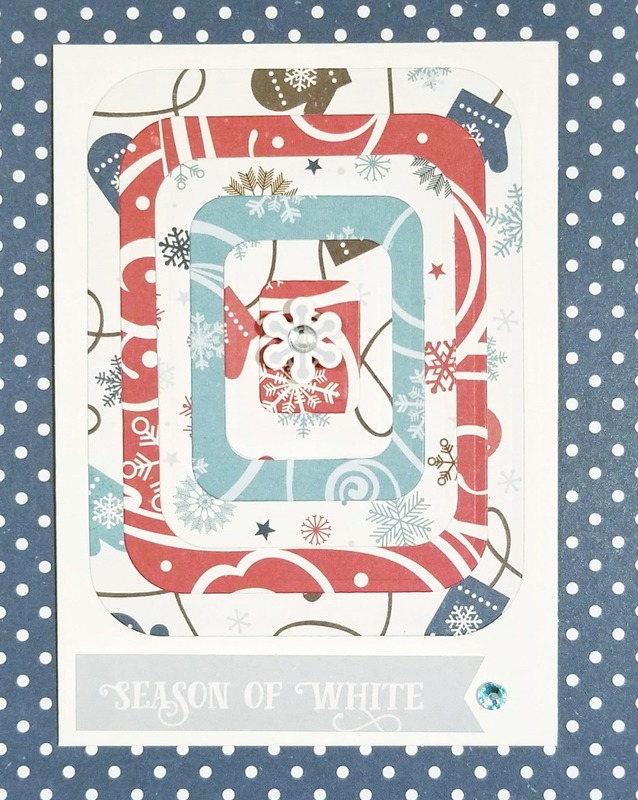 Once the layers were created and adhered, I chose a snowflake sticker for each card from the sticker sheet included in the kit. I used a foam dot to place it on the top layer and then a sparkly jewel to finish it off. Then I selected a wintery quote from the sticker sheet for each card and accented each with a second jewel. 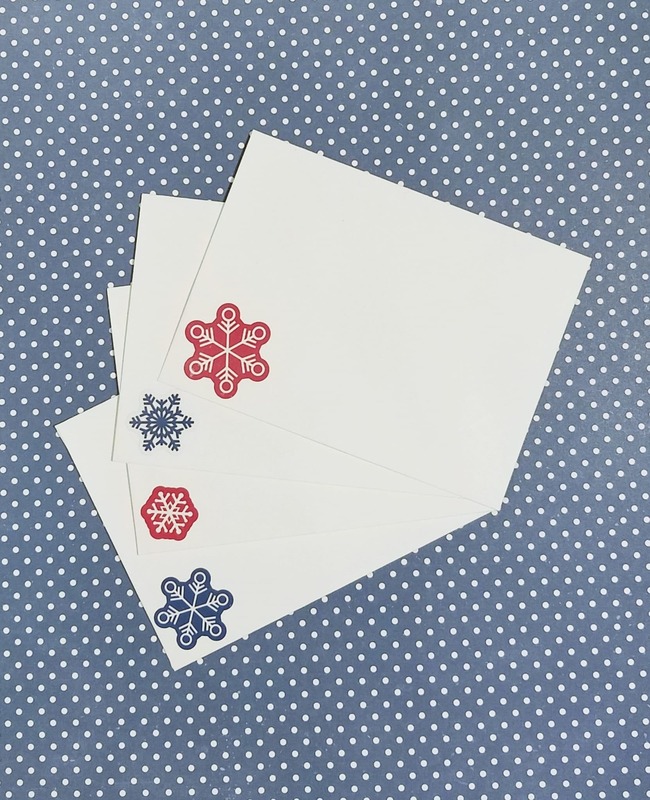 The envelopes each have a snowflake sticker from the sticker sheet. The only products I supplied were the cards and envelopes, adhesive, and jewels. 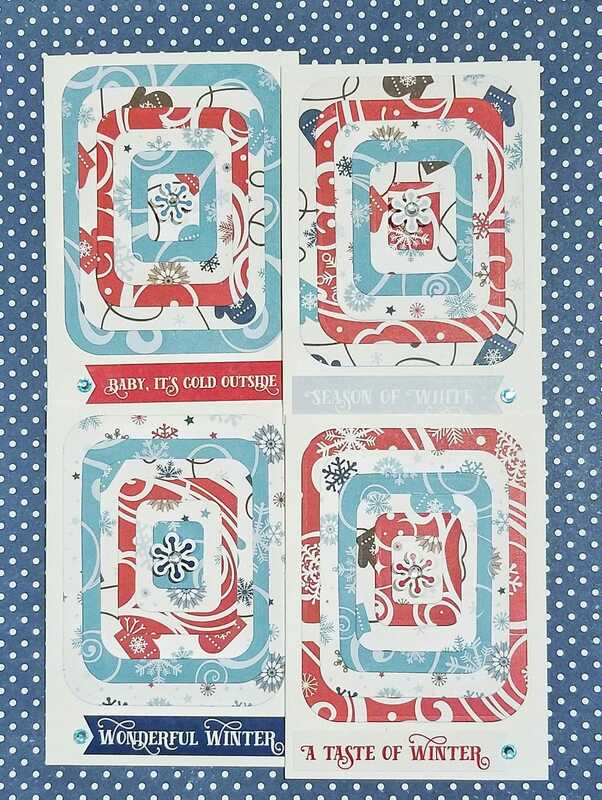 We hope these paper craft templates inspire you as you make your own winter paper craft inspirations. Share your crafts with us on Facebook, on Instagram, and on Pinterest. Share with others using #scrapbookingstore on both Instagram and Facebook. We’d love to see what you’re up to! ← 2019 Design Team Announced!